You want to say no, but you still take on that extra job your colleague asks you to. You want to make time for the things you really love to do or just really do nothing for a change, but your calendar is packed! You want to exercise more, eat healthier, go to bed early, but after some weeks you wonder when you have let go of these good habits. Do you recognize this? I’ve been there, times too many, and I know you can turn this around and live the life you desire. 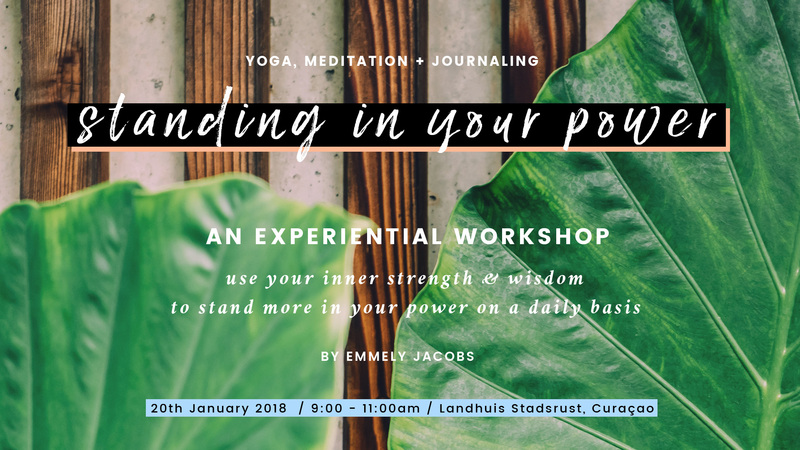 I will share my secrets of how I do this, but also we will use yoga, meditation and journaling so you can reconnect to our inner strength and wisdom, and stand more in your power on a daily basis. After this 2-hour experiential workshop you will not only feel re-energized, more grounded and connected to your true self, but also have space and clarity as to how you can make choices from a place of self-love every single day. I know it’s short notice, but if this resonates with you and you know need this, start standing in your power by taking time for yourself, and join me! This workshop is for all ages and all levels, so bring yourself and anyone who needs this #SelfcareSaturday session. Please bring your own yoga mat. If you don’t have one, bring a thick beach towel instead (we don’t have extra mats). Also bring your journal, pencils, and whatever you need to feel comfortable (blanket, pillows, sunscreen, etc). If you have any questions, please call 5240390 or send me a message.